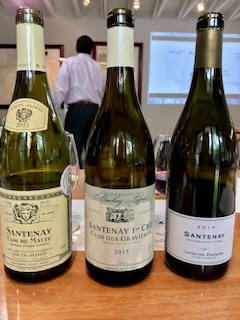 Last week at the Texas Wine School, Guy Stout shared his knowledge with Houston wine professionals on the village appellation of Santenay located in the Côte de Beaune growing area in Bourgogne, also known as the Burgundy wine region of France. Santenay is situated in the southern portion of the Côte de Beaune on limestone based soils which receive ideal morning sun exposure. 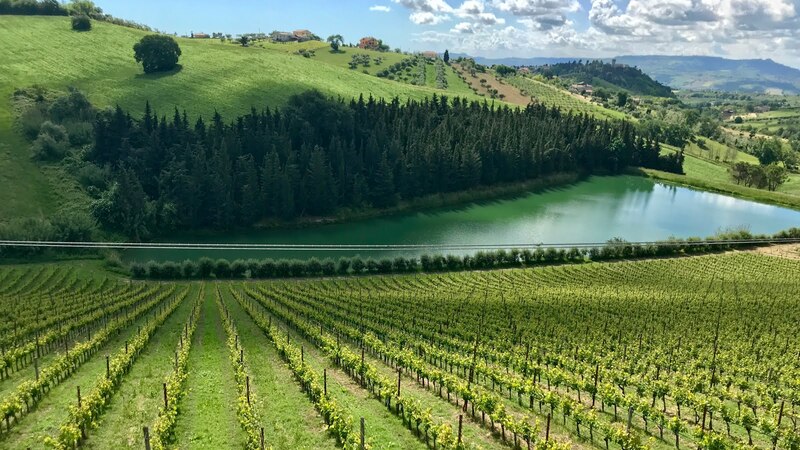 The area primarily produces well structured red wines from Pinot Noir but they also produce some elegant white wine from Chardonnay as well. Santenay earned AOC status in 1937. Wine wasn't the only liquid of interest at the time, a hot springs spa was a major attraction in the area until 1998 when it was closed. 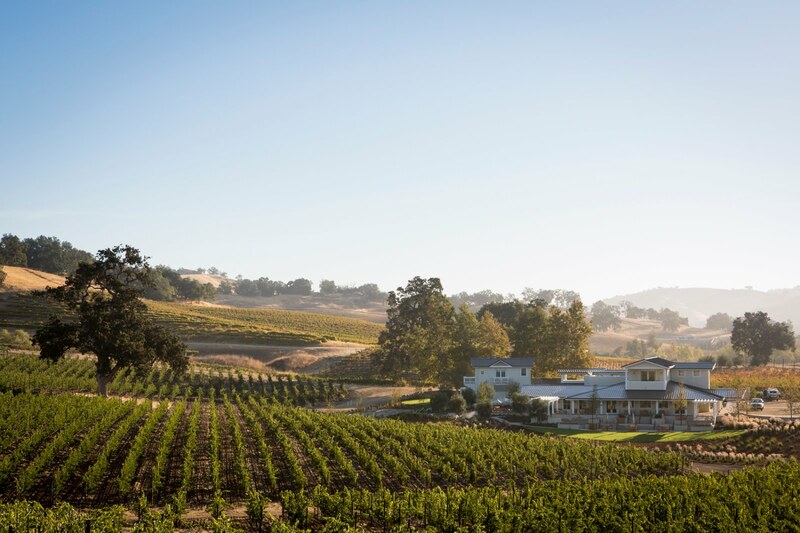 The wines of the region, however, have maintained their attraction through their reputation for quality and charm. 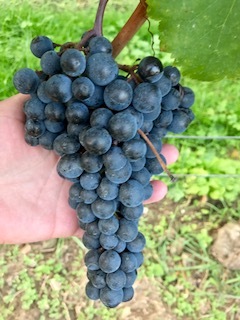 There are twelve Premiers Crus Climats within the Santenay appellation. In Bourgogne, Climats are plots of land that have been delimited by winemakers for generations, some as far back as the 7th century. Unfortunately, we did not get to taste them all. The sample we did enjoy, however, has inspired me to seek more wines from Santenay in the near future. Santenay "Clos de Malte" by Maison Louis Jadot 2013 - This white wine was sourced from a seven hectare Monopole vineyard on the foot of the Montagne des Troix Croix of which only one hectare is devoted to Chardonnay. 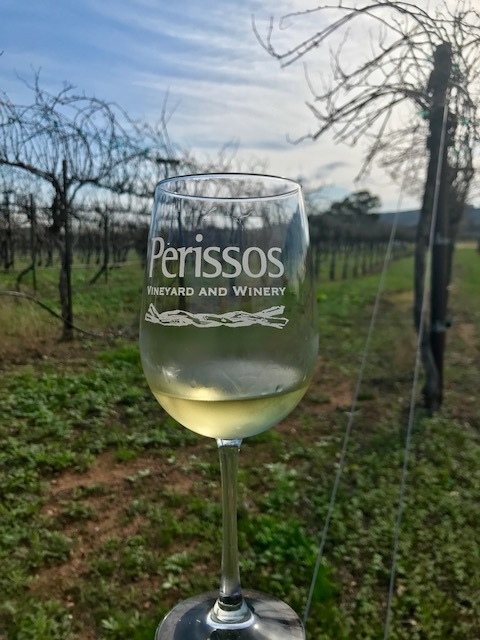 From a vintage that Stout described as "lean, for both production and style", the wine was dry with a medium body and medium plus acidity with fruity aromas and flavors of green apple and yellow plum, a nutty nuance with a bit of tartness in the fresh finish. "I like it," pronounced Stout. Santenay 1er Cru Clos des Gravières by Domaine Bachey-Legros 2015 - From a highly respected premier cru vineyard site for red wines, this white wine was aromatically interesting with a slight musty earthiness combined with fruity meyer lemon and yellow plum flavor. Dry, rounder with medium acidity, a slightly chewy texture and juicy citrus in the lingering mineral-laced finish. Santenay by Domaine Jacques Bavard 2014 - Stout called this village level red "a classic Pinot Noir" from it's bright ruby color to its cherry, cranberry and forest floor aromas and flavors. Dry with medium acidity and moderate tannins, Stout said this wine was both "simple and easy to enjoy." Santenay 1er Cru Gravières by Domaine Jessiaume 2014 - Bright floral aromas with juicy cherry and pomegranate flavors, dry, medium bodied with moderate tannins and medium+ acidity, Stout referred to this wine as "a gazelle that was ready to run". Santenay 1er Cru Clos Rousseau by Domaine Jean-Claude Regnaudot et Fils - Stout sniffed, swirled and tasted this wine and announced to the group, "It's going to be hard to move past this one!" 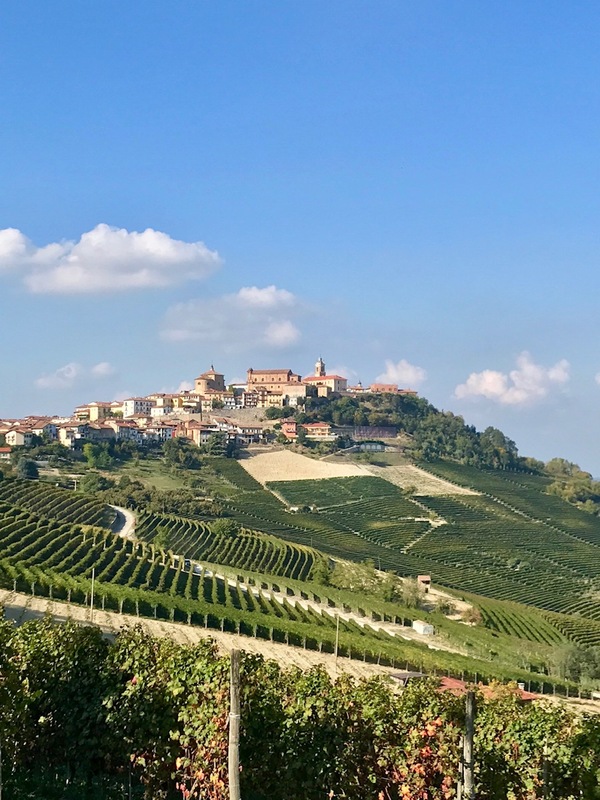 Bright aromas of ripe Bing cherries and forest floor, dry, medium bodied, medium+ chewy tannins and medium+ acidity with juicy plum and cherry flavors with a truffled savory note in the finish. 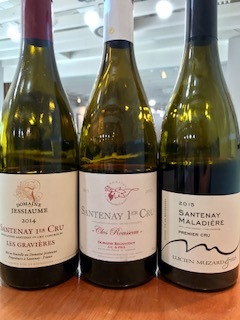 Santenay 1er Cru Maladière by Domaine Lucien Muzard et Fils - Less youthful seeming than the previous wines from the slight orangish tint to the rim to the slightly oxidized note on the nose but equally elegant. 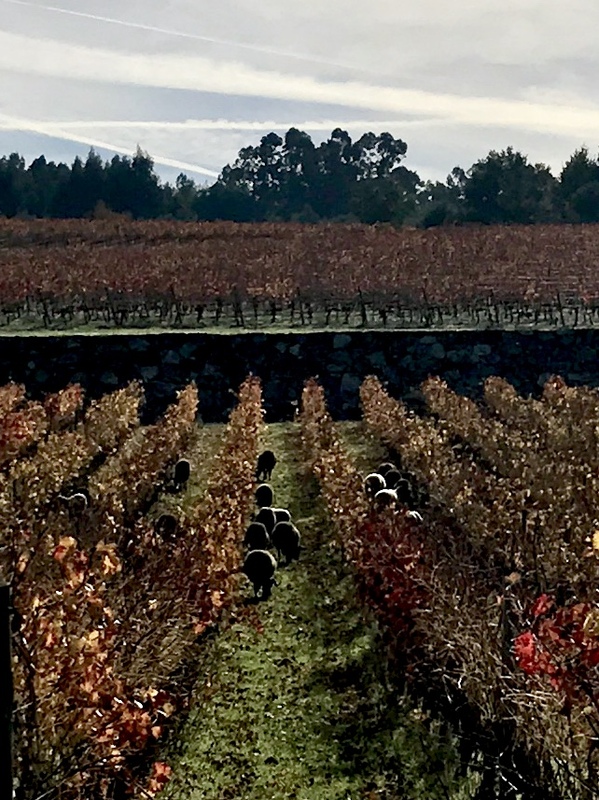 Aromas and flavors of cranberries, truffles and forest floor with a medium body and medium acidity and tannins, this dry red also has a touch of spiciness in the finish. Sophisticated, energetic and full of character; the wines from this tasting are all highly recommended.